Very nice painting for memory ! Perfect art work ! 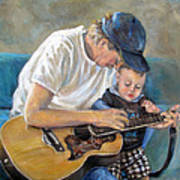 What a beautiful moment in time captured in paint. LOVE this! Thank you Brenda - we grow and learn from pain. Wow what a beautiful painting beautifully done. Such talent ,my heart goes out to you all . I am so sorry . It's great to use art to heal the soul. I'm glad I tried it. I was so sad for some time that I couldn't even paint. Thanks for your comment. This is how I dealt with this difficult episode. It helped me and it also helped others. 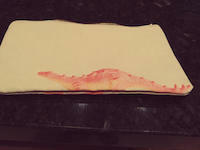 All our hearts were so broken. This little guy was the love of our lives. He was such a perfect child. I'm glad I could do something to help heal. Thanks for your comment. Precious memory...very well done, Donna. 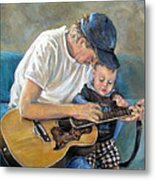 Donna~~Welcome to Old Masters--Painters and Traditional Arts. This is such a beautiful and moving portrait. You have captured a precious moment in time. v/f and pin with acknowledgments. 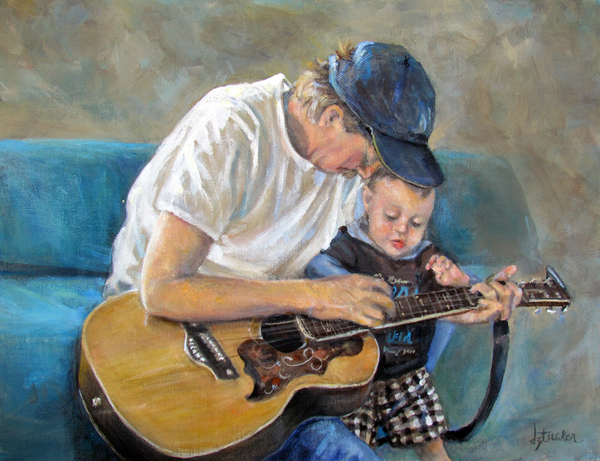 Beautiful Painting, so touching! v.
Beautifully done! So very sad. I'm so sorry. 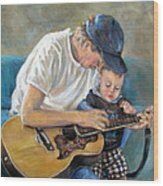 This is an acrylic painting I did of my brother Joe teaching his only grandson, Jordan how to play the guitar before he died.